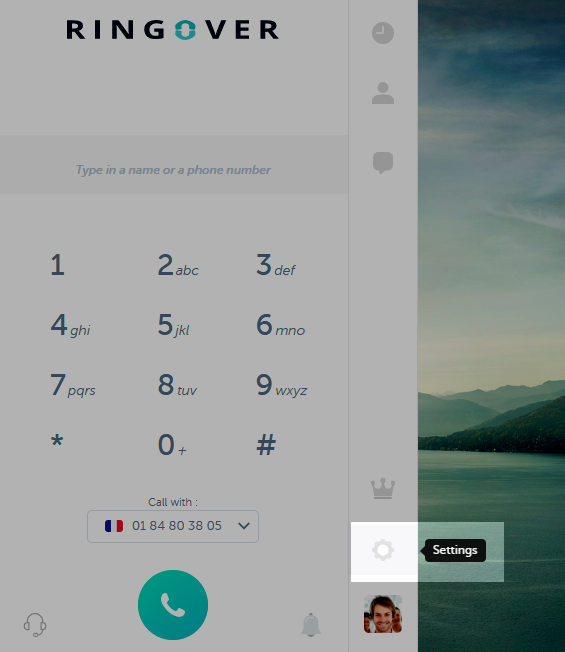 2/ The email address associated with your RingOver account is indicated by default. Click the switch to activate notifications: . 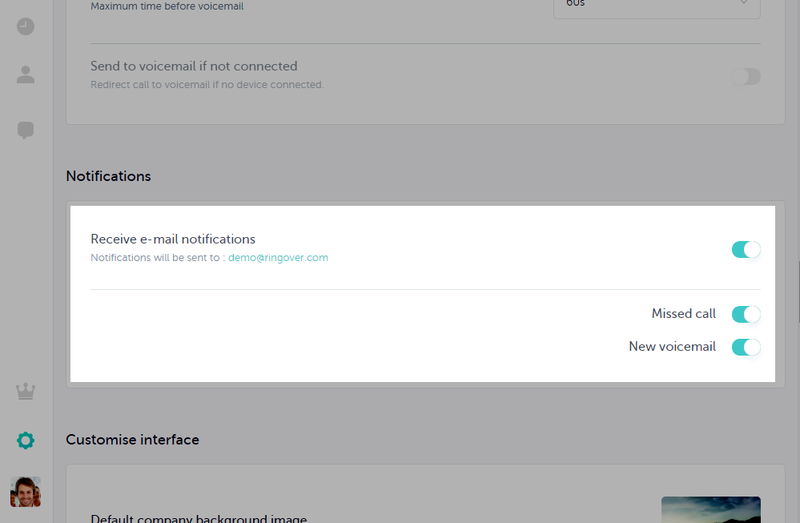 3/ Notifications are now active and will be sent to the email address associated with your RingOver account. 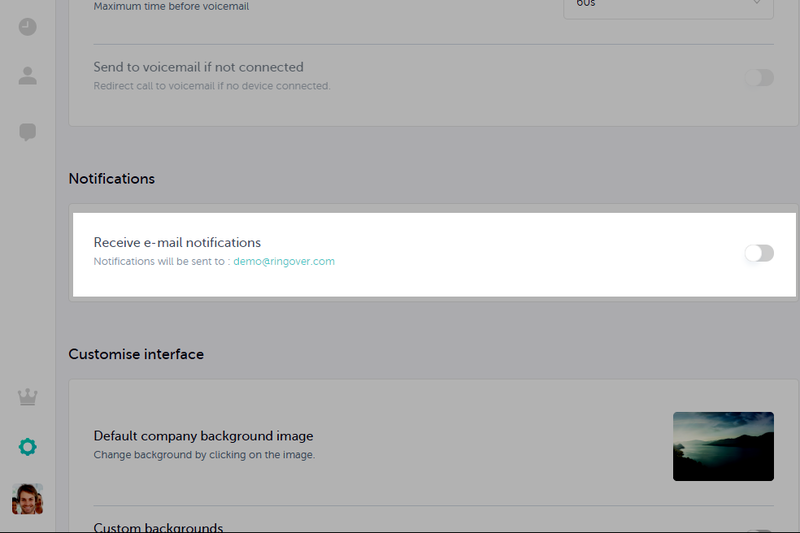 You may choose to activate or deactivate notifications for missed calls or voicemail messages.